This time last week I was on the way to Birmingham for this years BlogCamp sponsored by The Wood Window Alliance. This is a free conference where all you need to do is pay to get there! Trust me blogging conferences can really add up so this is great! I am always nervous at these things, especially if I don't know who is going to be there, but luckily Emma, Kate, Julie and Jamie all made me feel at home. As always you have to make decisions over which sessions to attend. I opted for DSLR Camera Basics, Food Styling and Photography, Stats and Metrics, Building Your You Tube Channels and Advanced Pinterest. So what did I learn? 1. Let your camera do the work. If you have a DSLR shoot on automatic to start and then play around with it as you get more confident. Tom advised to shoot on P mode to start. Then try AV. The flash is the work of the devil, so stay away from using it. 2.You can make the background blurry by shooting on AV. F1-4 will give you a blurry background on a portrait. I had no idea of this and thought I could only do this if I put on a different lense. 3. Use the colour wheel when planning food photography. I knew this already but hearing it again has made me start thinking about it more. 4. I should stop being lazy and use the tripod for photographing food. I would also be able to do pouring etc then. 5. I need to plan my posts. I am rubbish at this. I need to think about what I am cooking, when I will photograph it and what props I will use. 6. Sally has to put up with a lot of moaning about Tots Scores. It is all relative. It takes lots of things into account. Food bloggers have much higher pageviews than parent bloggers, but parent bloggers link more. Main message. Be nice to Sally! 7. You can change your thumbnail on You Tube. Who knew! Well I suppose I should of. But now I just need to change them. 8. I need to get a little bendy tripod for my phone to vlog with. Again vlogging has been on my to do list for about 2 years now, but I am thinking that as little man is starting school in September then maybe I will have more time to do this. 9. I need to apply for Rich Pins on Pinterest. Again I knew this and tried but gave up. I need to have another go and email them if I can't sort it out. 10. Having blogged for 4 years I still have so much to learn. Every blogging conference I attend I come home with loads of ideas. There are so many things to improve. I now just need more hours in the day. Damn I should have gone to the Time Saving Tips For Busy Bloggers course! 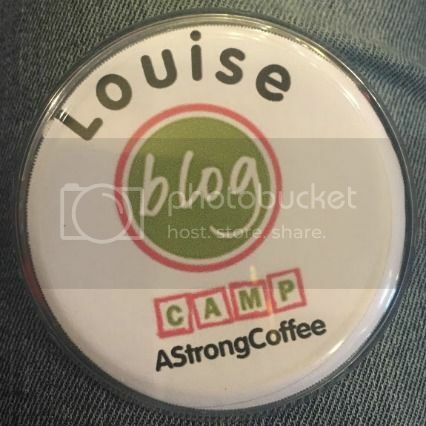 Did you go to BlogCamp? What was your favourite session?